Dan Milliken split his formative years between Kaneohe, Hawaii and Bethesda, Maryland. He has been trapped in WIT's vortex since 2012. A theater geek growing up, Dan now “kicks it script-less” with WIT ensemble iMusical, indie team Ugh, and indie duo Jackson, Millissippi. He is also the proud coach of WIT Harold Team LIZARD GIRL. Dan likes puns, fried chicken, nicknames, and RuPaul’s Drag Race. He has always identified as a cat person, but recently feels like he’s becoming a dog person, maybe? It’s a confusing time. When Dan Milliken was young, he used to comb through boxes of Lucky Charms and eat only the marshmallows, leaving behind all those boring "wheat" things that no one likes. The rest of his family took issue with this habit. Over the years, Dan has become more respectful of kitchen etiquette. But when it comes to improv, his mantra is still “all killer, no filler”; he loves helping students indulge their creative sweet tooth to the max. His teaching emphasizes fun and fearlessness, and builds upon the unique qualities that each student brings to the table. 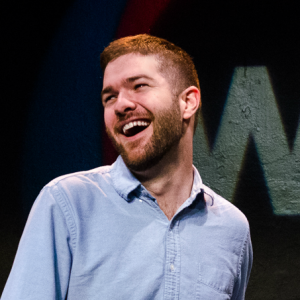 Dan is a graduate of WIT’s curriculum, and has also studied with instructors from the Upright Citizens Brigade, iO, Annoyance, Magnet, and Philly Improv theaters. Onstage, he performs with WIT ensemble iMusical, as well as indie team Ugh and indie duo Jackson, Millissippi. He is also the proud coach of WIT Harold Team LIZARD GIRL.